If a group of heavies from, say, the Unite union had broken into Parliament during the recent debate on the Trade Union Act, disrupted the House of Commons, forced an end to the session and knocked a security guard unconscious in the process, what do you think David Cameron’s Conservative government would be doing right now? Exactly. Those involved would be receiving the same full measure of British justice as was dealt out to the London rioters back in 2011 and looking at some hard jail time, while the unions they represented would be positively begging for measures as mild as those currently proposed by the government. The Conservatives would be at total war with the unions, and Labour’s hyperbolic claims about the Evil Tories wanting to roll back two hundred years of industrial relations regulation might actually start to seem plausible. All of which makes it surprising that when exactly the same thing happened at London’s City Hall earlier this month – when members of that famous cartel, London’s black cab drivers, burst into the chamber and brought an abrupt end to Mayor’s Question Time – there were absolutely no negative consequences whatsoever. Mayor’s Question Time was shut down after police were called to City Hall today, after a security guard was apparently knocked out in scuffle outside the building. 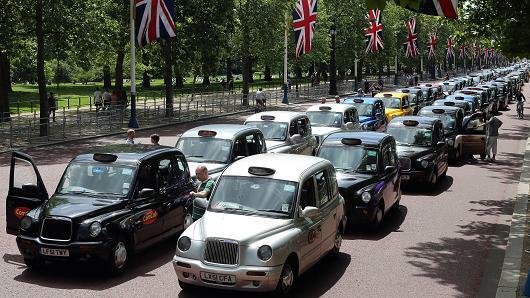 Black cab drivers were demonstrating outside (and inside) the Southbank venue over ongoing criticism of Transport for London’s handling of regulation for private hire car companies, in particular Uber. 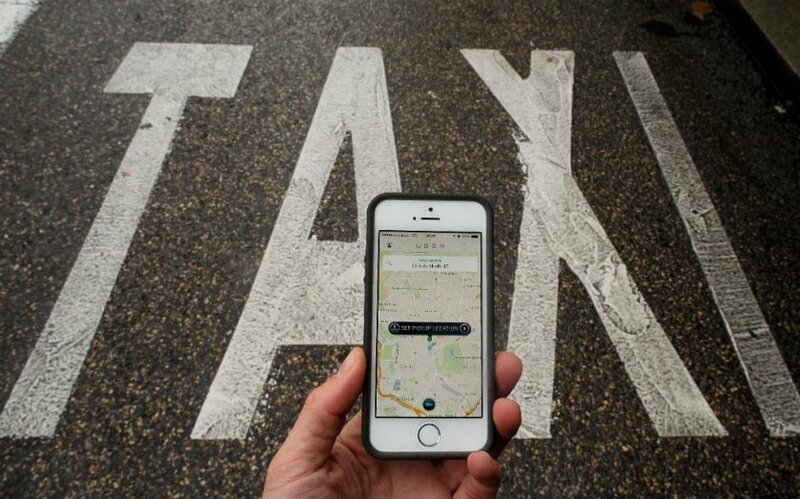 They waved banners calling for Johnson to “stand firm” against “Uber’s lobbyists”, with suggestions that the ride-sharing taxi app puts public safety at risk. Ah yes, appeals for politicians to consider public safety – the last refuge of the desperate, antiquated monopolist fighting a lost cause as they slide into irrelevance. Won’t somebody please think of the children, too, while we’re at it? 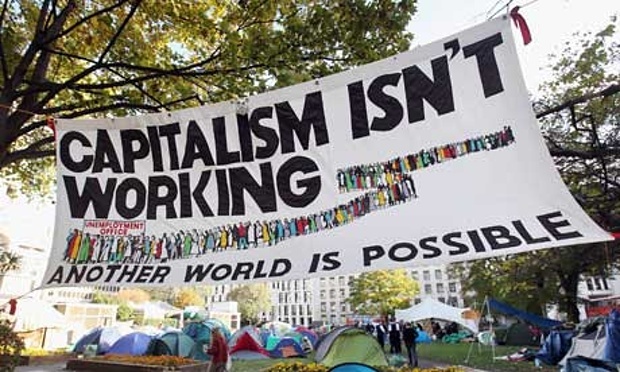 Will The Anti-Corbyn Backlash Change Labour’s Attitude To Capitalism? If Jeremy Corbyn is not the answer to the Labour Party’s creeping irrelevance, the party must make peace with capitalism and free markets once and for all – and then decide what it stands for. Is Guardian columnist Jonathan Jones the great new hope of the British Left? No, of course not. This is still the same odious man who poured scorn on the Tower of London poppy display and who thinks that the Union flag – our national flag – is ‘provocative’ and offensive. But between the usual self aggrandisement and marvelling at his own peerless ethical virtue, a small but noteworthy sliver of realisation crept into Jones’ latest column. Jonathan Jones is a committed Labour centrist, you see, and it is driving him absolutely crazy to watch Jeremy Corbyn’s acolytes seize the mantle of principled socialism for themselves, leaving him looking like just another rootless, ideologically compromised member of the establishment. I can’t listen any more to rhetoric that contrasts the idealism of Corbyn’s supporters with the supposed cynicism, hollowed-out power worship and futile pragmatism of the centre-left. I am a Labour centrist supporter not out of cynicism but out of principle, because I believe the only ethical politics of the left today has to be moderate, reasoning, and sceptical. I am Labour, but I am not a socialist any more. The End Of America As We Know It? Hardly. 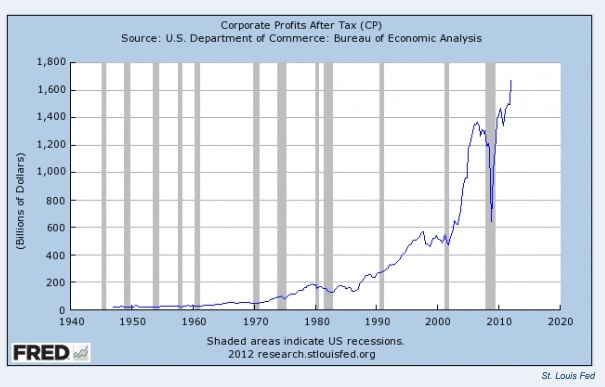 As you will note, the line indicating growth in corporate profits (in billions of dollars) obstinately refuses to go in the direction that it would need to point in order to signify the government-led smothering of the private sector that Romney wants us to believe is currently taking place. I do not believe this has been done with evil intent or ill will. But for a family watching their house being sold at foreclosure, or the family that is forced to spend their kid’s college savings just to make ends meet, the results are just as devastating. I will not be that President of deception and doubt. I will lead us to a better place. Today, government at all levels consumes 37 percent of the total economy or G.D.P. If Obamacare is allowed to stand, government will reach half of the American economy. And through the increasing controls government has imposed on industries like energy, financial services and automobiles, it will soon effectively control the majority of our economic activity. This line only works if you are ill-informed enough to actually believe that Obamacare effectively appropriates and nationalises the entire US healthcare industry, bringing it under government ownership as opposed to just regulating the industry to a higher degree and increasing the customer base of the insurance companies through the individual mandate. So it’s basically a big fat lie, though Romney is clever enough to choose his words carefully, stating “government will reach half of the American economy”, a quite meaningless phrase, but one that deliberately and incorrectly suggests ownership and control of half of the US economy without actually putting him on the record as having said so. One must ask whether we will still be a free enterprise nation and whether we will still have economic freedom. America is on the cusp of having a government-run economy. President Obama is transforming America into something very different than the land of the free and the land of opportunity. We know where that transformation leads. There are other nations that have chosen that path. It leads to chronic high unemployment, crushing debt, and stagnant wages. I don’t want to transform America; I want to restore the values of economic freedom. This is what really irritates me about the Romney argument, this idea that there is a binary choice between “free enterprise” and “government-run”, that America has always dwelt on the free enterprise side of the line and that Obama wants an old-school socialist planned economy. It is borne out of the total allergy to nuance or shades of grey currently affecting the Republican party, and is one of the main reasons why I cannot bring myself to support them at the moment. Of course there is no such binary choice. What percentage of GDP would have to be consumed by government spending for “free enterprise” to officially be declared dead according to the Romney definition? 37%, the current figure? 50% + 1? Something else? All conservatives – myself included – want to see government spending account for as small a proportion of GDP as possible, and most would agree that the current level – in Britain as well as in America – is too high. But the size of government has expanded under both parties, and though Obama may be guilty of failing to reverse the trend, he has at least slowed the rate of increase in the size of government, when the stimulus measures are factored out. For Mitt Romney to suggest that the US is teetering on the brink of becoming a planned economy under Obama when government spending accounts for 37% of GDP is not only the worst type of scaremongering, it also ignores the significant contribution that his own party made to the problem. And as for this narrative about Obama seeking to “transform” America, to turn it into something unrecognisable from before – while it may be the only narrative that Romney can hope to ride to the White House in November, it is also untrue. Obama is a centre-left politician implementing mostly centre-left policies, some of which would actually have enjoyed a measure of support among Republicans if they had been proposed by a President Bush, Cheney or McCain. But for Romney to get out the vote, he must convince his supporters of something patently untrue, that Obama is a radical, a dangerous subversive trying to alter the fabric of America. I’m an economic conservative, I believe in a small state and limited government involvement in private markets. But given the choice between someone on the centre left who is making an honest effort along Keynesian lines to solve the economic difficulties facing America and someone on the right who screams “socialism!” where none exists, and who remains in denial about his own side’s complicity in the downturn and the detrimental effect that his policy proposals would have on the recovery, I have to hold my nose and support the centre left guy. Which is a shame, because it would be nice to have a genuine choice in 2012.